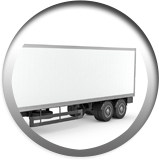 Martinez Heavy Truck Tire & Repair has many options for your commercial truck. Our TIA-certified dealership carries new tires from top brands like Bridgestone and Goodyear. We also sell recaps and used tires to provide more avenues for your business to save. Don’t be left sitting on the side of the road with a broken truck. With one call to Martinez Heavy Truck Tire & Repair, you’ll be on your way again soon. We provide 24/7 roadside service and truck repairs from our six locations. Visit Martinez Heavy Truck Tire & Repair in Huntsville, Buffalo, Goodrich, Lufkin, and Woodland, Texas when you need commercial service or repairs for your vehicle. Whenever you’re in need of basic truck repair or tire service, you can trust our professional technicians to use years of knowledge to give your truck the treatment it deserves. We service the following national accounts: Bridgestone, Goodyear & MICHELIN®. Get your commercial truck back on the road again in no time with Martinez Heavy Truck Tire & Repair. With more than 30 years of experience, you can rest assured that our expert commercial truck mechanics are going to fix the issue with professional service. Just because it’s the middle of the night, it doesn’t mean you can’t get the quality service that your truck requires. Our 24-hour emergency service and roadside assistance program for commercial vehicles is available to help you when you need it most.